After 164 posts spanning 178 days of regular-year school plus 11 days (and counting!) of summer school, I finally feel ready to share what I learned from the experience and why I think daily reflection should be a part of your practice, too. I wrote a blog post every day this past school year. It was awesome. If you want to make a 180 blog, I recommend: 1) be ok with the fact that not many people will read the blog, 2) include a picture every day, 3) have a routine to remember to take said photo every day, and 4) focus on one detail from your day rather than summarizing the day. I don’t get a ton of readers to the 180 blog — maybe 25 views in a day is typical. Twitter refers 10 times more readers than the next source, search engines. Connect your 180 blog to your Twitter account so they’ll auto-post. I make sure post titles are short and all start with the day number for consistency’s sake. Use the WordPress app for your phone. I usually upload the pictures directly from my phone, save the post as a draft, then type your reflection on the computer. 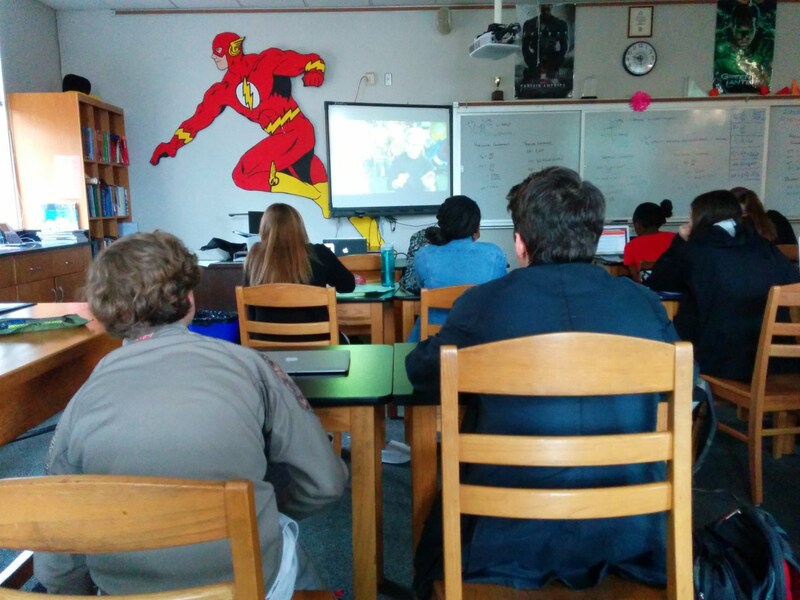 Most 180 blogs feature a classroom picture every day. You should, too because pictures are more interesting than words. I had days where I forgot to take a picture so would recreate something that happened in class, take a picture of student work, or find an image online (in that order) to use. 180 blogs scream for photos. Get your students in on the fun by telling them about your blog. Ask them to remind you to take pictures of interesting stuff you do in class. Set an alarm for some time every day where you’re at least close to doing something interesting. Carry your phone on your person at all times so you’re prepared to take photos. Encourage students to take photos and share them with you afterwards. 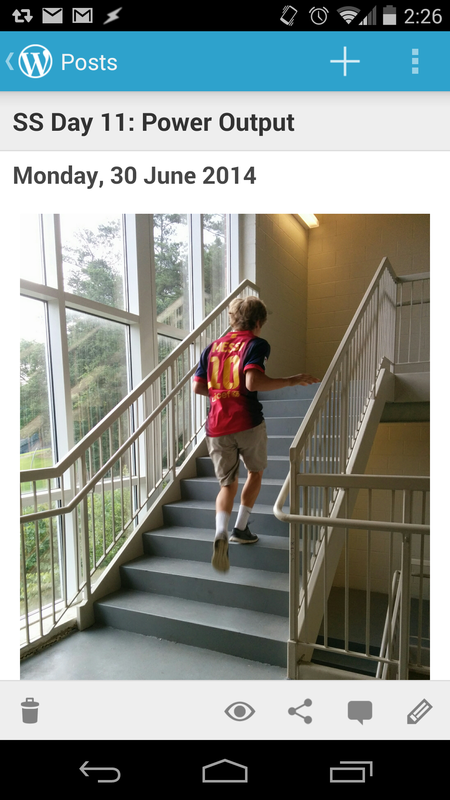 By the second half of the school year, I entered every class looking for the blog photo. Sometimes, though, we just had some boring classwork going on. That’s when I felt the pressure. I can’t believe I’m about to admit this but I found that those 25 readers per day got me to up my game. Blogs that post a photo and discussion about student work are cool, so that was a fallback for those dull days. Be sure to anonymize your kids’ faces. I like Skitch because it has a pixelate tool that I can apply right on my phone. Better yet, get creative about camera angles so faces are never even in the pictures. Good camera angle = anonymous students. Link to the activities, labs, and assignments you’re describing in the post. I noticed folks would sometimes click on those files. We, your readers, prefer editable documents over PDF. Sharing docs is my small way to give back because some of my favorite lessons have been created from a picture or a few words on the 180 blogs of my friends. So what do you do if you fall behind as I did for most of April? The way I see it, you have three options: 1) carry on as if nothing happened, picking up at the next day you think about it; b) do a catch-up post as I did; iii) say “screw it” and quit blogging all together. I hope you’ll choose one of the first two options. I still don’t think something all that interesting happens every single day of my school year. So the trick is to think like a marketer: what one thing would you share from your day in a commercial about how awesome your class is? Even in a dull day, you must’ve seen or done something interesting. I enjoyed sharing organization tricks I appreciate, robotics season updates, and even a small about weather craziness. My opinion? Don’t summarize the entire day. I think 180 blogs are most successful when they focus on one detail from the day. Also don’t be afraid to think outside the (school) box — that one detail may not happen between 8a-3p. Many 180 bloggers cite daily reflection as their reason to post every day. In fact, my friend Justin reflects more than many mirrors. I’m impressed with his transparency and willingness to hash it out in public. I, however, am way too concerned with public appearances to make that move. Doesn’t mean I’m not reflecting — I found myself reflecting as I was writing, even if the text didn’t make it onto the blog. Yes, there were horrible days of me trying to wing it with poorly planned materials. Instead of sharing that with the world, I opted to find one good thing in every day to share with you. This is based loosely on the inspiration I get over at the One Good Thing blog. If this post inspires you to start a 180 blog, would you do me the favor of posting your URL as a comment here? I am seriously considering doing a 180 blog based on this post and following Justin’s all year. (Side Note: I would’ve followed yours more closely but out content doesn’t align as well.). I’m absolutely convinced of the value of it but I’m intimidated by the time commitment and fear I’m not up to the challenge. I’m also nervous about being that transparent but I remind myself that I’ve got an incredibly supportive community of teachers around who are more likely to help than ridicule when I fall short (as I routinely do). In any case, thanks for the inspiration! Jami, ok, there are two things in your comment I really want to respond to: 1) getting over the intimidation of going public with your classroom and 2) time commitment. I have actually created activities and lessons based almost exclusively on the idea that y’all might be reading this stuff. As in, “no way I’m doing this basic/boring thing. What will Jami think of it?” I upped my game because I knew you might be watching. Well, clearly not you since you said you don’t even read my 180 blog, *sniff* 🙂 I think that it doesn’t matter why we up our games, just that we do. Also, if you do share the boring stuff, that’s cool too. People just won’t comment about it. As for time commitment, with some practice, I can put out a post in 10 minutes entirely from my phone. Check out Jonathan Claydon’s photo gallery for the low maintenance 180 blog style. He just writes a photo caption when he posts pictures. Some days I spent way longer, of course. The time commitment argument is a non-issue once you get the basic routine down (which takes about a week). So, I hope I’ve convinced you to do a 180 blog with my responses here! I know you’ll be awesome at it. Thank you! The process is TOTES manageable. My challenge to you — got set up that blog now and leave the address here so I can check in on you in August/September. You can do this daily blog thing! Even if all you do is drop a picture with caption every day. I’ve found SO much value in the routine. I’m so sorry, I thought I was on a different page and I realize that I’ve already contacted you about my research. Megan – thanks for this post and all the suggestions (I had starred it to go over it carefully; just took me a little while…); I had a 180 blog last year (menard180.wordpress.com) – I think I was the ONLY reader. I only posted photos with a brief comment (how did Justin do ALL THAT WRITING every day??). But I do like going back now and looking at the photos and remembering how full the year was. I’m tempted to try again next year, perhaps with a bit more detail, and even tweet the posts. I think using my phone to do the post is key in maintaining the daily routine, but I am having trouble with the WordPress app though; it doesn’t want to connect to the site – did you ever have issues with that? Love your tips for starting new blogs….I just started my 180 blog this year…planning on using some of your tips.